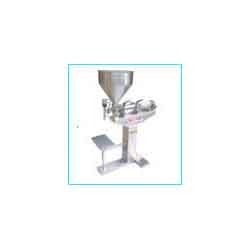 We manufacture different types of rotary piston fillers, volumetric piston filler, manual piston filler which are suitable to fill volumetrically pumpable products. Our range includes machines to handle round and non-round containers made of metal, glass and plastic. Liquid Piston Filler are available in a wide range including as volumetric piston filler, rotary piston fillers, manual piston filler. 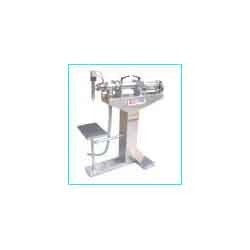 Being suitable for filling products volumetrically, these machines can effectively handle both round as well as other shape containers that can be available in material choices including glass, plastic and metal. The models offered by us here include IPLPF250, IPLPF 500, IPLPF 1000. Paste Piston Filler are available in a wide range including as volumetric piston filler, rotary piston fillers, manual piston filler. Being suitable for filling products volumetrically, these machines can effectively handle both round as well as other shape containers that can be available in material choices including glass, plastic and metal. The models offered by us here include IPPPF250, IPPPF500, IPPPF1000. Owing to our rich industry experience, we are offering a wide range ofPiston Filler IPPPF 250/500/1000T to our valuable clients. Widely known for providing trouble free performance and easy operations, this range is at par with international quality standards. Further, these are manufactured from high grade raw material using latest technology . 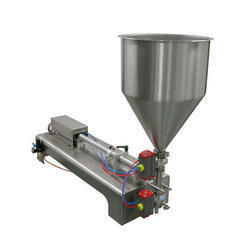 Designed keeping in mind the requirement of the customers, these fillers are offered at industry competitive prices. We are one of the leading organizations committed towards offering superior quality Piston Filler IPPPF 250/500/1000. These fillers are manufactured in state-of- art manufacturing unit using superior quality raw material and cutting edge technology. 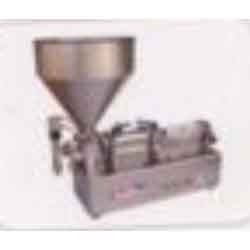 Our offered fillers find wide application in various industries for filling materials. In order to match the international quality standard, these product are rigorously checked against various quality parameters. Customers can avail them at market leading prices. Owing to our rich industry experience, we are offering a wide range ofPiston Filler IPLPF 250/500/1000Tto our valuable clients. Widely known for providing trouble free performance and easy operations, this range is as per the international quality standards. Further, these are manufactured from high grade raw material using latest technology. 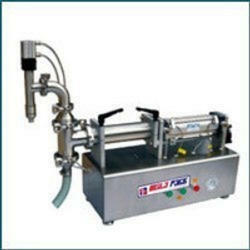 Designed keeping in mind the requirement of the customers, these fillers are offered at industry competitive prices. We manufacture different types of rotary piston fillers, which are suitable to fill volumetrically pumpable products. Our range includes machines to handle round and non-round containers made of metal, glass and plastic.